The “Clone Army” proceeded to march around Ord Mantell. Our goal for the event was to collect the Datacrons together. Now remember, we did not do class missions etc. 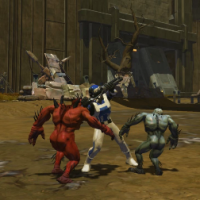 only leveling was from exploring and working together to take down any mobs that tried to attack the “Clone Army.” Oh and to answer to earlier question…yes, level 2s and 3s can kill a level 8 champion, if they have 100-120 fellow “clones” with blaster rifles handy! Below are a few pics and a short video with the perfect fitting background music for the event. There are more images found at the following link from Tim Bruce and also this link from noblecox. If your guild or server has an event you would like the SWTOR community to know about and would like to share the images, please let us know in the comments below or email me at jason@corellianrun.com. There were several dev posts this week, most pertaining to maintenance and ongoing fixing of some bugs. We also have more than a few from Georg Zoeller, ranging from the Legacy System, workbenches in our ships and something regarding a couple protocol droids. Hi everyone! We requested another round of logs from folks and many thanks to those of you that provided them. Our investigation of this issue is well underway and we’d like to ask that, for those of you still experiencing this issue, please see if it persists when you play on the public test server and let us know here in this thread. Thank you! GeorgZoeller General Discussion -> Can we have workbench on out ships? CTRL-right-clicking an item in your inventory has the same functionality as a workbench, anywhere you may be! So, if the workbenches are completely unneeded….WHY did we have one added to the supplies area of the fleet in a patch? We believe that our Legacy System design strikes a great balance between players that like to play multiple characters and players that rather focus on one main character in endgame. We know you’re anxious to hear more, and don’t worry, we’ll talk about it in the future before patch 1.2 goes live. Georg and his witty posts have again graced us all. The latest has to do with a couple of loyal and all be it at times annoying protocol droids. It seems we have an “official” statement in regards to their function in the game. While this is primarily done in jest, in this writer’s opinion, Georg does make mention of possible changes down the road. Could this mean C2-N2 and his Imperial counterpart 2V-R8 might have expanded roles in the future? You read through the post and let us know what you think in the comments below. I am writing to you in response to your complaint about our product, the C2-N2 droid. We regret that you are experiencing difficulties with this award winning, state of the art household droid. 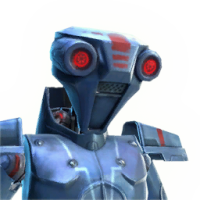 Sadly, we have to inform you, that the C2-N2 droid, and its Imperial counterpart, the 2V-R8 autonomous ship maintenance unit, are not rated for combat at this time. Several regrettable incidents, including the loss of a full squad of SIS operatives (apparently triggered by a malfunctioning speech unit voicing its congratulations to the undercover team during a deep cover infiltration mission), have lead the Republic Technical Support Corps to revoke the combat certification from these units and forced us to replace the ‘advanced weapon and martial training ROM’ from the programming of the unit. These facts have been clearly disclosed to customers at time of sale, as well as in the programmatic introductory conversation program voiced upon owner transfer. For this reason, we cannot take responsibility for your problems. We are however pleased to announce that future updates to the unit’s artificial intelligence core will dramatically increase the efficiency of it’s emergency medical protocol features – and add some other, more questionable features. 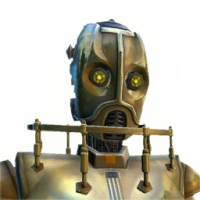 The C2 Droid Corporation is also pleased to announce that we have started investigations into a new line of droid casings and cores, aimed at improving the efficiency of the unit’s assembly and construction features. No official release date for this line of top end equipment has been determined at this point. We thank you for your interest in our product. C2-N2 – The only thing that crits is his voice in your earchannel! If the gloom of a gray January has you down or if you might be debating whether to play just your main character or start an alt to see what another class has to offer, why not check out what articles you might have missed this past week at Corellian Run Radio. For your benefit we have the articles listed below. This week we have a new installment from the Dimbo the Trooper series. It has been awhile since the last update, but we are glad Dimbo, the author, is doing better health wise and back writing some really good fan fiction. If you have not started reading this series that follows the adventures of Dimbo the Trooper, I strongly urge you to give it a read. Below we have a small excerpt from the newest addition in the series. I’d say we had killed thirty to forty of the monsters judging by the bodies that surrounded us. T7’s scanners had picked up at least fifty initially and there were at least that many left now. They had us surrounded and were closing in. Unless a miracle happened we were not going to last much longer. As we get close to wrapping up another HoloNet Links, it is time for another Star Wars video. I have seen all the remakes of the Star Wars films and yes, I have even seen the prequels. I love the Star Wars franchise, but come on haven’t there been enough remakes? Well, that is what I thought until today. I came across an article from IGN.com titled “The Best Star Wars Remake Ever.” After sighing deeply, I reluctantly pressed play on the video for two reasons…one I love Star Wars, and two the article talked about Star Wars fans being the ones making it (So far George’s retirement is holding true). Okay the video, it is made up of hundreds of fans maybe more submitting their take and creative interpretation of the classic film Star Wars: Episode IV – A New Hope. Each fan’s submission was given a total of 15 seconds that was edited together to recreate the entire film. Now I could go on and on about this fan created film, don’t take my word but, watch it yourself. All I will add is that this film put a smile on this Star Wars fan! Let us know what you think in the comments below and be sure to read IGN’s full article about the film. 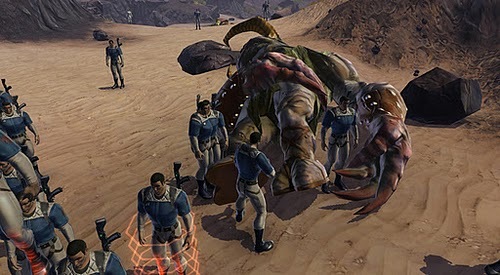 I am still looking for any original work related to SWTOR. This is your chance to get published. Your submission could include in-game footage, music video, video parody, game tips, fan fiction (like Dimbo), creative artwork… As long as it’s related to SWTOR the possibilities are endless – NO SPOILERS, Please. Send any of these my way to get highlighted in future HoloNet Links articles. You can email me at jason@corellianrun.com, or you can leave link suggestions in the comments below, or in the Facebook group. See you all next week!